Why Spinal Cord Injuries Often Require a Lifetime of Medical Care | Merkel & Cocke, P.A. The spinal cord is the collection of nerve fibers, ligaments, tissues, vertebra, and discs that extend though the neck and down the back. The brain and the spinal cord make up the central nervous system. 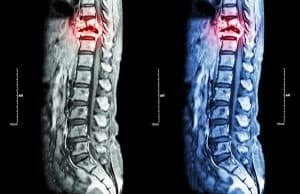 Spinal cord damage is classified as “complete” if the accident victim loses all sensory feeling and motor function below the point of the injury. The damage is “incomplete” if the patient has some sensory or motor function. Injuries are not always immediate, so it is important to see an emergency room or treating physician as soon as possible after an accident – even if you feel well. Quadriplegia, also called tetraplegia, where the victim’s arms, legs, hands, trunk, and pelvic organs are damaged are affected. It may be best to wait to settle or try a damage claim after the patient’s full prognosis is known, so that we can help you make a claim for the amount of compensation you will need. Our experienced Mississippi spinal cord injury lawyers work with your team of doctors. We also may refer you to other physicians. At Merkel & Cocke, P.A. our spinal cord injury attorneys have been advocating for the injured since 1982. We have the experience and resources to help you get justice. Our Mississippi trial lawyers represent clients across the entire Gulf Coast region including Clarksdale, Oxford, and Jackson. To make an appointment now, please call us at 662.799.1633 or complete our contact form.